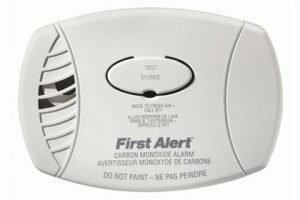 Carbon Monoxide Detection in Edmonton | J.W. Brian Mechanical Ltd. Carbon Monoxide detection is as important as a fire/smoke detector in your home or business. If you don't have a Carbon Monoxide detector, JW Brian Mechanical would be pleased to install one or more for the protection of you and your loved ones. We cannot express enough the importance of carbon monoxide detection in your home or business. Every year we hear of fatalities due to carbon monoxide poisoning, which is even more tragic knowing how preventable this occurrence is. There are several types available, including simple battery operated units, units you can plug into a power outlet, or hard wired into your electrical panel. Give us a call at (780) 249-1496 and we can have you sleeping like a baby knowing you are protected from the silent killer: carbon monoxide!